Should You Appeal Your Medicare Fraud Audit Determination, Civil Monetary Penalty (CMP), or Conviction? If you are facing recoupments, financial penalties, or federal incarceration for Medicare fraud, you need to speak with an attorney about your options for appeal. The long-term consequences of an unfavorable audit determination, civil enforcement action, or criminal prosecution can be substantial; and, for some medical practices and health care companies, they can be fatal. As Medicare lawyers representing physician-owned entities and other healthcare providers, we emphasize the importance of being proactive with regard to Medicare compliance. This means (i) putting an effective compliance program in place, (ii) monitoring for updates to the Medicare Claims Processing Manual and other relevant federal regulations, and (iii) seeking legal representation at the first signs of an audit or investigation. However, even the most diligent providers are not immune to government scrutiny. The Office of Inspector General (OIG) of the U.S. Department of Health and Human Services (DHHS), the U.S. Department of Justice (DOJ), the Centers for Medicare and Medicaid Services (CMS) and other federal agencies all use data analytics to identify “anomalies” that suggest the need for an investigation. While some of these anomalies do indeed reflect fraudulent billing practices, more often than not, they simply reflect the unique aspects of a legitimate business or medical practice. Yet, the government investigates; and, when it does, it leaves no stone unturned in seeking to identify evidence of fraud. If it finds signs of inadvertent billing errors, it pursues civil penalties. If it finds signs of intentional fraud, it pursues criminal prosecution. Without effective representation, providers will often face business-threatening ramifications. Then, there are CMS’s “fee-for-service” contractors. These contractors get paid to audit health care providers; and, the more false and fraudulent billings they uncover, the more they get paid. This means that they have every incentive to be as invasive and aggressive as possible, and it means that if you are being audited, there is a good chance you will need to file an appeal. At Oberheiden, P.C., we provide experienced and highly-skilled representation for health care providers in all Medicare fraud-related matters. From defending clients in investigations and prosecutions to challenging decisions of auditors, administrative law judges (ALJs), and federal judges on appeal, we have significant experience at all levels. If your business or practice has received an unfavorable audit determination, or if you are facing civil or criminal penalties, we can quickly assess your situation and determine whether you should file an appeal. Deciding whether to file an appeal is not always as straightforward as it sounds. There are numerous considerations that go into deciding whether to appeal – particularly in federal court – and appealing without realistic hope of a better outcome could simply mean throwing good money after bad. However, in some circumstances, providers will have little choice but to take their case to the appellate level, and in many cases, providers will have a variety of grounds on which to pursue an appeal. 1. In order to appeal successfully, you need to be able to prove a mistake at the lower level. An appeal is not a “second bite at the apple.” It isn’t a retrial, and it isn’t a chance for a do-over where you get to correct mistakes you made at trial. Instead, succeeding on appeal requires proof that someone else made a mistake at the lower level. In the case of an unfavorable audit determination, this means that the Zone Program Integrity Contractor (ZPIC) or Recovery Audit Contractor (RAC) reached faulty conclusions. In the case of a civil or criminal trial, it means that the judge made a serious error of law or abused his or her discretion, or that your attorney’s representation was so deficient that you were deprived of your rights under the Sixth Amendment to the U.S. Constitution. Proving these types of mistakes is not easy, and it takes time that you may not have. As a result, if you are considering the possibility of filing an appeal or even just have questions about the process, it is imperative that you seek the assistance of an experienced legal team as soon as possible. Judicial appeals take time, especially at the federal level. A Medicare fraud appeal can easily take a year or longer, simply because there is such a backlog in the system. Can you afford to wait that long to obtain a reversal? While some providers can, others cannot. When considering whether it makes sense to file an appeal, it may be necessary to consider the very practical issue of whether your practice or company will still be around to benefit from a successful appellate decision. While appeals for contractor audits moves more quickly, there are five stages to the process – culminating with an appeal in federal district court. While some providers find success at the first level of appeal (redetermination by a Medicare Administrative Contractor (MAC)), others need to pursue multiple appeals to have their ZPIC or RAC findings reversed. 3. A successful appeal could mean a retrial. When you win on appeal, the most common scenario is that your case gets sent back to the district court. It is much less often that an appellate decision is the end of the process. If the appellate court determines that the district court judge made a reversible error or that you received ineffective assistance of counsel, you will likely be looking at a retrial on the merits. This means facing the uncertainty of litigation once again, after having already incurred the time (and expense) of winning your appeal. 4. An unsuccessful appeal could mean another appeal. As we mentioned above, there are five stages of appeal for unfavorable contractor audit determinations. There are also multiple levels of appeal in federal civil and criminal cases, culminating with review by the U.S. Supreme Court (assuming the Justices decide to hear your case). If your first (or second) appeal is unsuccessful, will you be willing and able to continue until you have exhausted your legal remedies? When assessing whether to challenge an audit determination, ALJ ruling, or trial verdict, it is also important to consider the body that will hear your appeal. Different CMS contractors, federal agencies, and federal courts all follow different rules and procedures, and appellate strategies will vary depending on the body deciding the appeal. Your likelihood of success can vary as well, and this is something that should weigh heavily in your decision as to whether to move forward. Medicare Audit Contractors (MACs) – MACs hear requests for redetermination following ZPIC and RAC audits. This is the first stage in the audit appeals process. Qualified Independent Contractors (QICs) – QICs hear requests for reconsideration, which are the second stage of ZPIC and RAC audit appeals. Office of Medicare Hearings and Appeals (OMHA) – An administrative hearing before OMHA is the third stage in the audit appeals process. Medicare Appeals Council – The Medicare Appeals Council hears appeals from OMHA determinations. 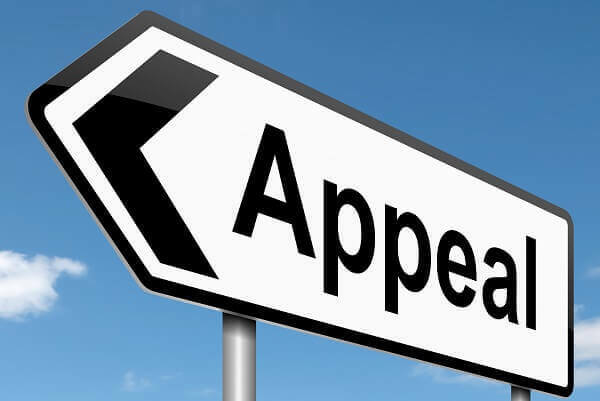 Departmental Appeals Board – The Departmental Appeals Board is an administrative office that has jurisdiction over matters including CMS’s imposition of civil monetary penalties (CMPs) for Medicare fraud. U.S. District Courts – The final stage of appeal for unfavorable ZPIC and RAC audit determinations is to file a federal case in U.S. District Court. There are U.S. District Courts around the country – many states have multiple district courts and each state has at least one – and you will need to file your appeal in the appropriate jurisdiction. U.S. Circuit Courts of Appeal – The federal circuit courts hear civil and criminal appeals from the U.S. District Courts. There are thirteen circuit courts around the country, including twelve regional circuit courts and the U.S. Court of Appeals for the Federal Circuit. U.S. Supreme Court – The U.S. Supreme Court is the highest court in the federal system. It’s nine Justices hear cases on a discretionary basis, and the Court typically only accepts cases that have broad social, economic, or legal implications. If it Makes Sense to File an Appeal, Should You Seek New Appellate Representation? Once you decide to file an appeal, you have another important decision to make: Should you retain your existing legal counsel; or, should you hire new appellate representation? For initial ZPIC and RAC appeals, it will often make the most sense to retain your existing counsel. Unlike civil and criminal appeals, appealing a ZPIC or RAC determination is largely just a part of the process. ZPICs and RACs strive to find reasons to pursue recoupments (because doing so means they get paid), and this means that providers will often need to approach their audits with an eye toward filing an appeal. As you proceed through the stages of the audit appeals process, it may be worth reconsidering your representation. Making an informed decision will require realistic assessment based on the facts and circumstances involved. Are you losing because your attorneys lack the necessary experience and familiarity with contractor audits and the Medicare billing system? Or, are you losing because the bodies hearing your appeals are failing to grasp the concepts involved? Familiarity with the Factual Issues – When it comes to assessing your options for appeal (and if you decide to appeal, hitting the ground running), your trial counsel will already have the relevant facts fresh in his or her memory. Familiarity with the Legal Issues – Your trial counsel should also be intimately familiar with the substantive legal issues involved in your case. First-Hand Knowledge of What Happened at Trial – Remember, civil and criminal appeals focus on what happened at trial. Having experienced your trial first-hand, your current attorney should already have an idea of the issues that could support a federal appeal. A Fresh Set of Eyes – While familiarity with the factual and legal issues can be helpful, it can also be helpful to view the issues through a fresh set of eyes. Your new appellate counsel may be able to spot issues that your trial counsel overlooked while focusing on other aspects of your case. An Appeal is Not a Retrial – Remember what we said above, a federal appeal is very different from a federal trial. If your trial lawyer does not regularly handle cases on appeal, you may be better off with more-experienced appellate representation. You May Need to Appeal Again – Also remember that you may need to appeal again in order to achieve a favorable result. As your case proceeds through the levels of federal appeals, it will become even more critical for your attorney to have specific (and substantial) federal appellate experience. You May Need to Question Your Trial Counsel – Among the limited grounds for filing a federal criminal appeal is ineffective assistance of counsel at trial. In order to claim that your trial counsel was ineffective – and to receive unbiased advice about whether to claim ineffective assistance – you will need new legal representation. As an authority on health care fraud defense in the United States, Dr. Nick Oberheiden has successfully argued cases against the Department of Justice, Department of Defense, the Federal Bureau of Investigation, and the Drug Enforcement Agency. Attorney Oberheiden has assembled an experienced team of attorneys who have a deep and comprehensive understanding of the health care fraud litigation process. With experience in virtually all aspects of white-collar crimes, Attorney Lynette S. Byrd defends both individuals and corporate clients who have been accused of federal crimes or are under investigation by state and federal agencies. Her several years of experience prosecuting white-collar crimes as the Assistant United States Attorney for the Northern District of Texas gives her a unique perspective to help defend her clients. Oberheiden, P.C. is a law firm with a multistate presence that represents health care providers, medical facilities, durable medical equipment companies (DMEs), and other entities in Medicare investigations, litigation, and appeals. Our experienced health care attorneys and former federal prosecutors have a long and proven track record of success and have a deep knowledge of the Medicare system. If you need to consider an appeal, we encourage you to contact us for a free case assessment. To speak with our legal team in confidence, please call (888) 356-4634 or request an appointment online as soon as possible.